WHAT IS IT? 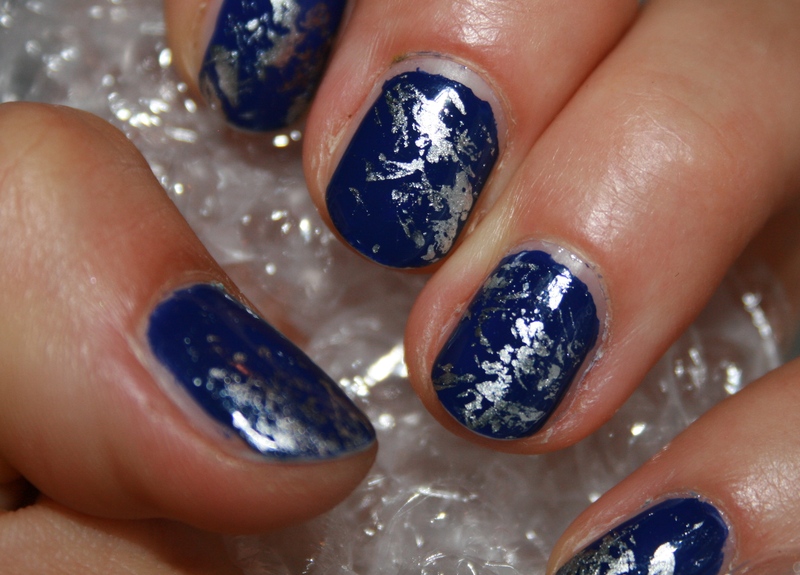 Blue nails with a shiny, metallic, marble like look – an experiment with a new technique. WHAT IS USED? p2’s 010 blue lagoon from the Pool Side Party edition, a dark blue that is opaque in just one layer. 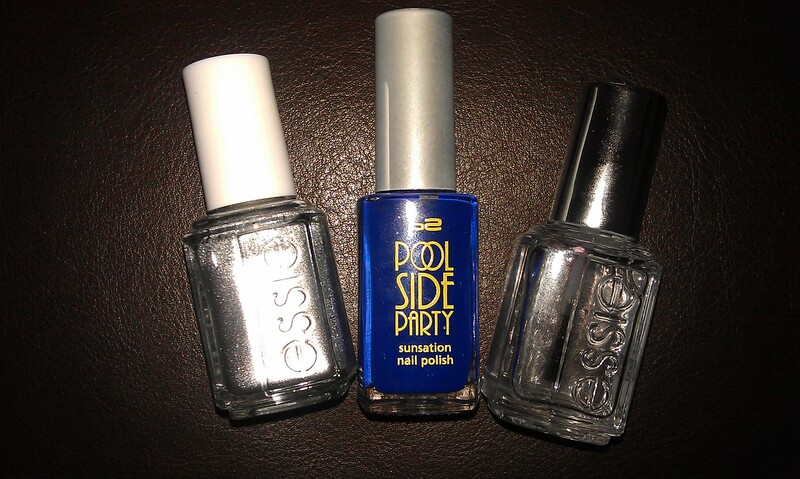 Honestly an amazing nail polish and from my favourite metallics: essie’s no place like chrome from last year’s mirror metallics limited edition. I used the plastic or saran wrap method to achieve this look (here is a nice tutorial) only that I didn’t cover the nail with the second colour and then took polish of with the foil but instead I put a bit of polish on a piece of paper and dipped the foil in it. Like this I had only a bit of polish on the foil and could kind of stamp my nails a bit more delicately. HOW DOES IT FEEL? Even though I think that the look worked out perfectly I don’t think I like it that much. I even got complimented on my nice nail design but I wore it for two days only and then was quite happy to take it of. This entry was posted in Nail Art and tagged 31 day nail challenge, blue lagoon, essie, Nailpolish, no place like chrome, P2 by kathatravelling. Bookmark the permalink.